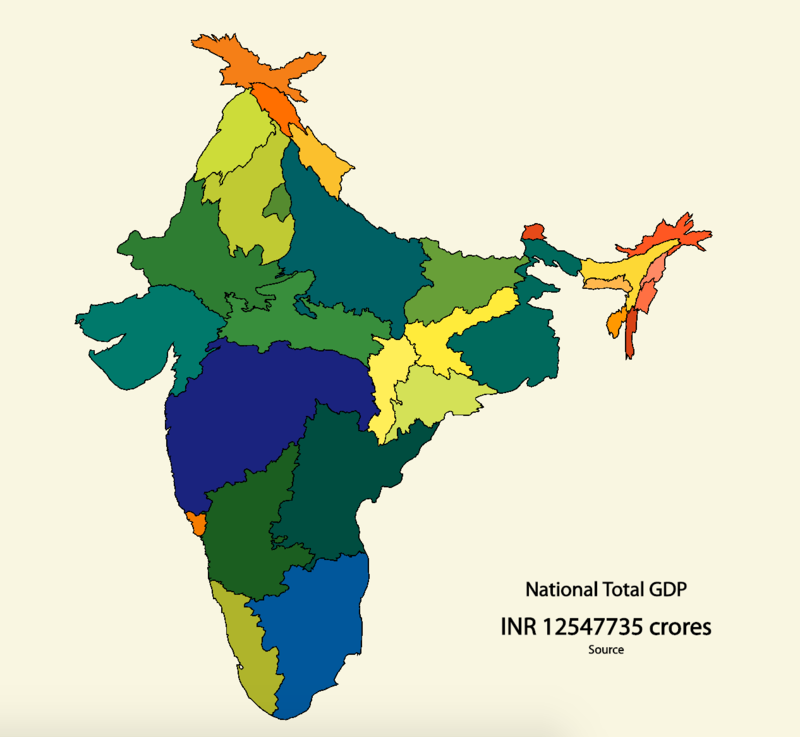 National statistical data is visualized using cartograms by proportionally distorting the shape of the states. 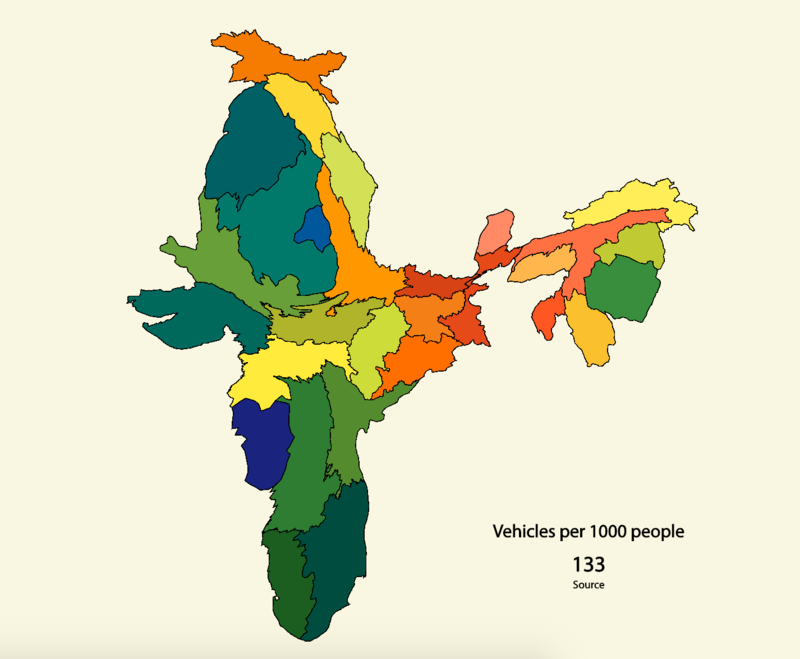 INDECODED is a data visualization project that uses open source data to illustrate India in a more striking manner than textual data. Human brains can detect even minor aberrations in familiar images and hence it becomes very easy for someone familiar with the original map to notice the aberrations that otherwise get ignored. 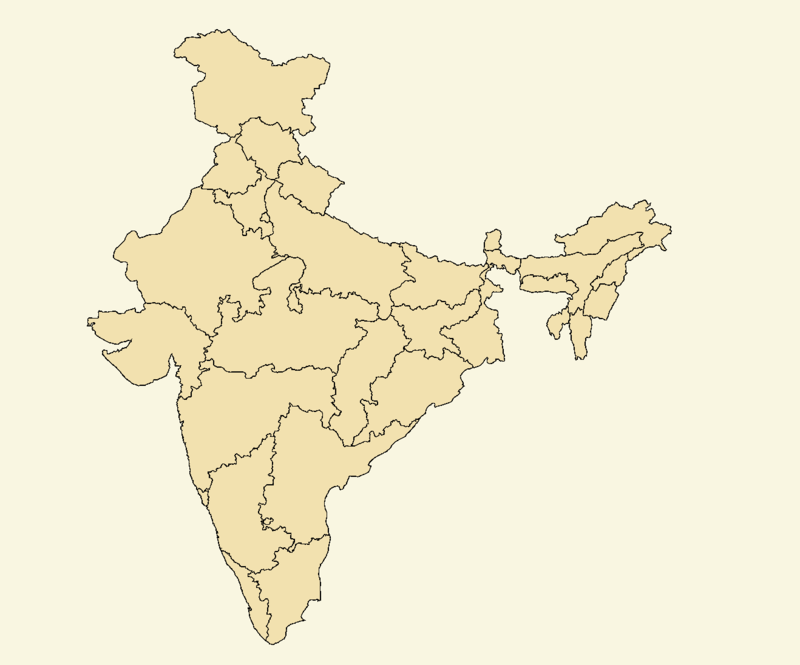 The tool was built on 15th August 2016, India's Independence Day as a tribute. 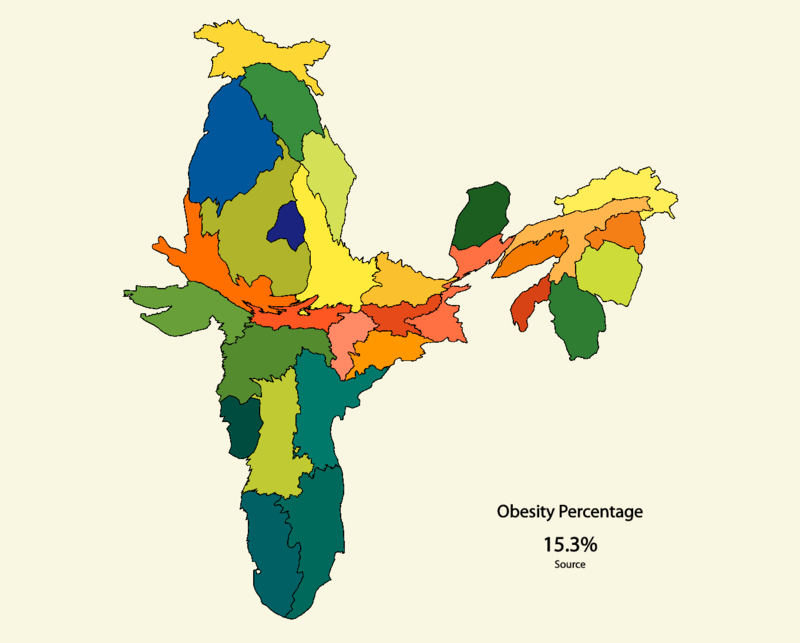 I used D3js for the animation, QGIS to create the maps and ScapeToad to distort them. The colors are indicative of the amount of distortion from the usual shape. States that contract compared to their normal shapes appear reddish while the ones that inflate appear greener. 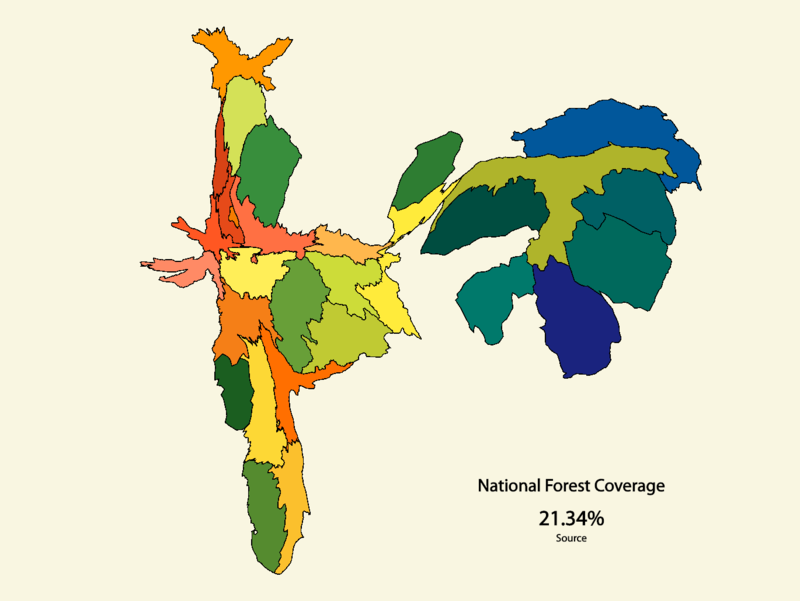 The data is open sourced using mostly the Census Data, 2011. 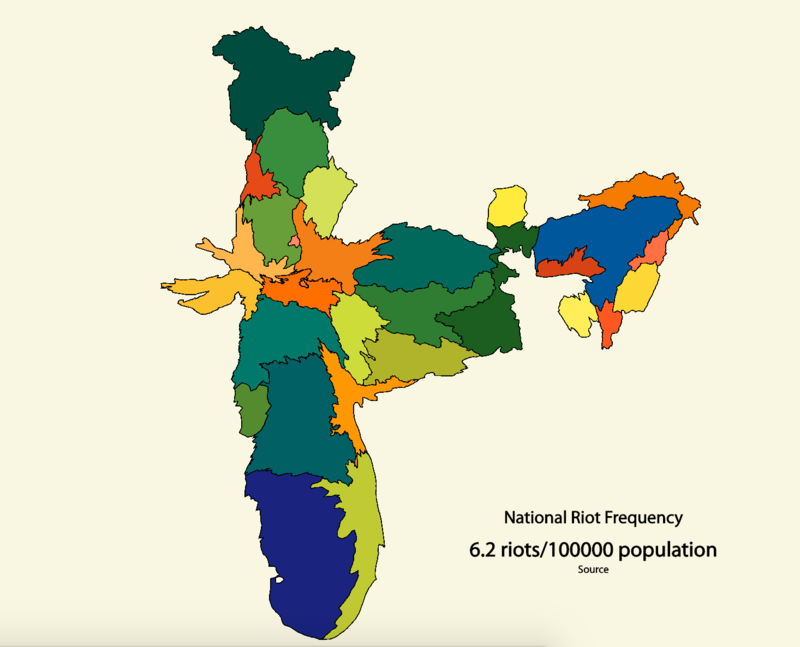 Therefore the state of Telangana which came into existence in 2013 is not part of the visualization. 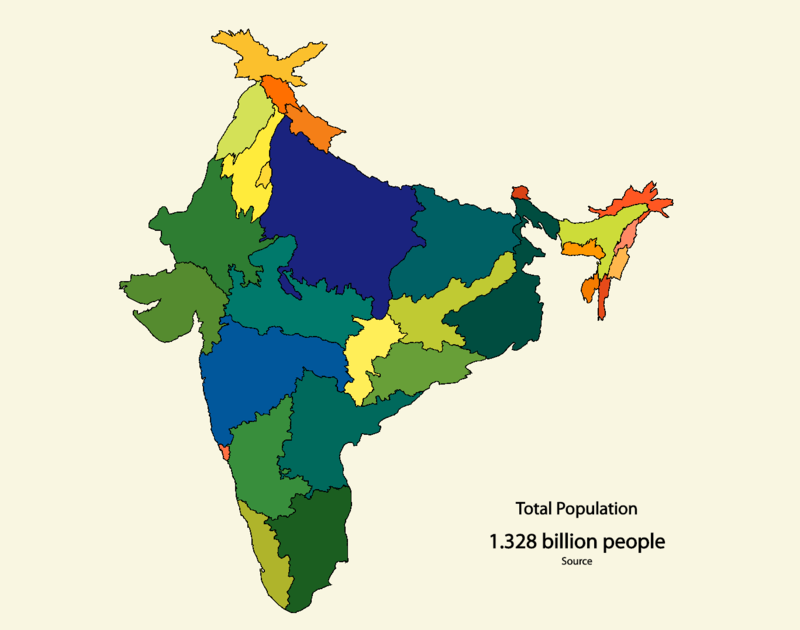 The union territories of India are also not visualized because of the lack of available data.